Dimensions: Base 3" x 10.5", Height 10"
Order one of our five "classic" colors, or customize your own for an extra $20. Please note, our classic colors are returnable, but custom bags are not returnable, as we cannot re-sell your unique fabric selection. STRAP LENGTH: Standard strap length is 42 inches. Long Strap (52 inches) and Short Strap (36 inches) available at no extra charge. Custom length available on request. If you want a Long, Short or Custom Strap, please note your request in the Special Instructions box during checkout. Inspired by our Zero family, our iPad Messenger Bag is ideal for urban jaunts around the city. 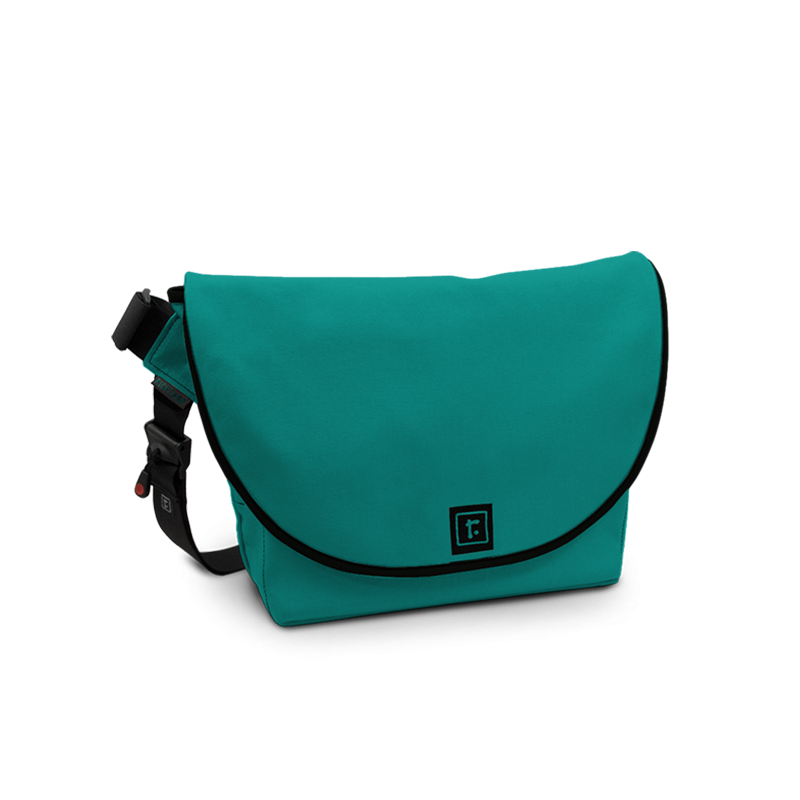 Weighing only 1.0lbs, the Messenger Bag for iPad is the perfect bag to port your digital life. "I've owned four different bags f..."
I've owned four different bags from the "other" messenger bag company. This is my first Rickshaw bag, and I couldn't be happier! Thanks to the short video, I was sure the iPad Messenger was designed to fit my device plus all my stuff. Additional videos sold me on the drop pocket insert, which I can remove and stash in a larger tote if necessary. I emailed Customer Service for clarification on a custom color match, and received a prompt and VERY informative response that even included photos of the fabrics in question. My custom bag turned out even better than I imagined! Rickshaw has thought of every item on my bag design wish list. It is a pleasure to order from a company committed to providing both a well designed quality product and superior customer service. I own the small zero, the medium zero, and now the iPad bag. I love the later two bags (use the small zero very infrequently because it's not practical for my usual walking all over the city). Because it would have been useful for me to know at the outset, here's my comparison of the iPad vs. the Medium Zero. The iPad bag is my go-to bag for work. It fits my wallet, an iPod, some pens and maybe a Kindle. I don't think that I could get in a water bottle, and it's too small for folders. The upsides: great quality, really comfortable for walking all over, looks more professional than the zero bags. It is also very lightweight. The downsides: It's too small for me to use on the weekends. For example, I couldn't fit my lunch and a wallet. Also, I prefer two front pockets to the single pocket in the front, and the two pen pockets on the side are REALLY small (barely fit a Bic pen). If you're into organization, I would recommend purchasing one of the drop pockets.